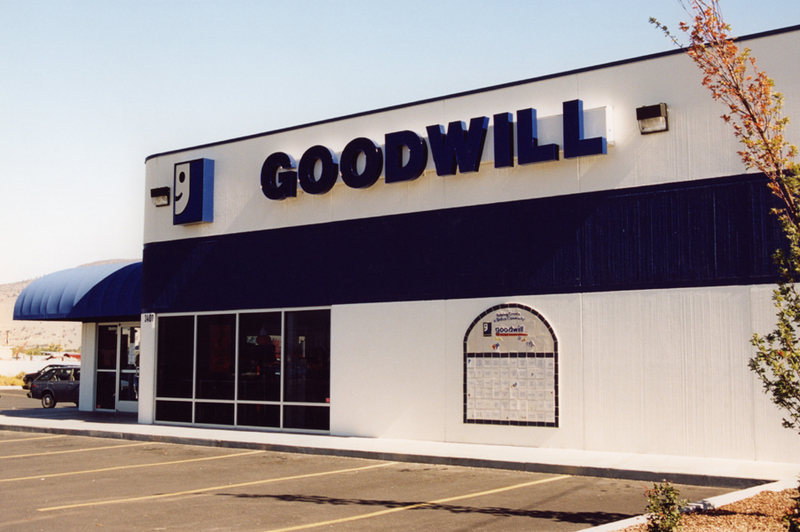 A fire in 1996 destroyed the Goodwill Center in Klamath Falls,Oregon. In an act of renewed commitment to this southern Oregon community, Goodwill purchased 2.25 acres of land and built a new facility, which opened in the fall of 1998. This action was made possible largely through material and cash donations from the local community. The staff at Goodwill then embarked upon a special venture. They called upon the artisans at Illahe Tileworks to create a “Donor Recognition Wall” honoring those who had given financial support to the new facility and to the mission of Goodwill International. 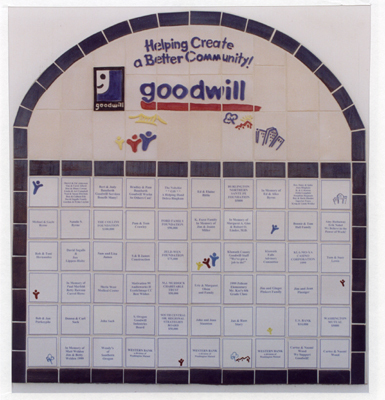 Susan Springer, artist and owner of Illahe Tileworks, worked with the staff to custom design the wall that would incorporate the logo of Goodwill, while creating a distinctive art piece to grace the community.